It’s been four eventful years since Micall Parknsun’s critically lauded Working Class Dad on Sit Tight/Low Life Records gained him widespread coverage from Zane Lowe (BBC Radio 1) to XFM and KISS. Since then, Parky has honed and perfected his trademark sound, inspired by the happiness of seeing his family grow. With musical guidance from Jehst, to this the day the UK’s finest rap export, Parky has been able to continually drop scene stealing guest verses and leave audiences spellbound by his live persona. Parknsun brings droves of passion in every word he speaks, but by no means is the album dark or introspective. Instead Parky has put a modern twist on the ‘Golden Era’ rap format, drawing parallels with Detroit’s new breed of ‘post-Dilla’ exports. This is unashamedly beat-driven, neck snap, boom bap party Hip Hop! 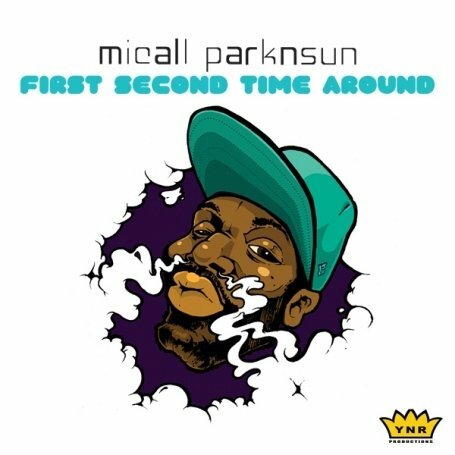 While low-grade rapper’s jump from Grime to House, Parknsun keeps it real, resulting in exactly the type of classic Hip Hop album that for years people have been afraid to create. Parky’s triumphant sophomore album bangs in the club, booms in the car and bumps in your headphones — and it blows all the trend-following flimsy ‘urban’ music out of the water! Included in this perfectly rounded 18-track set is the punchy anthem All 4 Hip-Hop, a tune that stormed the streets with its classic sounding M Phazes production. Everyday features the sweet soul vocals of Tiffany Paige, a Chicago vocalist, best known for her work with the likes of DOOM and Talib Kweli. The repeat button will undoubtedly get rinsed on Movementz, which sees Parky go toe to toe trading verses with YNR label-mates Jehst and Kashmere. Each with their unique style, it is no wonder why YNR is truly leading the way for forward thinking, real Hip Hop in the UK. Discussing, presenting and commanding like his former-BBC namesake, Parknsun re-affirms his position as the hardest spitting working class dad in the game.